Despite some spectacular failures, space exploration is still going strong. Each year we go a little further and understand a little bit more about the final frontier — and 2018 was no exception. We said goodbye to a few of our favorite missions, celebrated an anniversary, and got one step closer to Mars. Before we ring in the New Year, here’s a quick look back at 2018’s most significant achievements in space exploration. 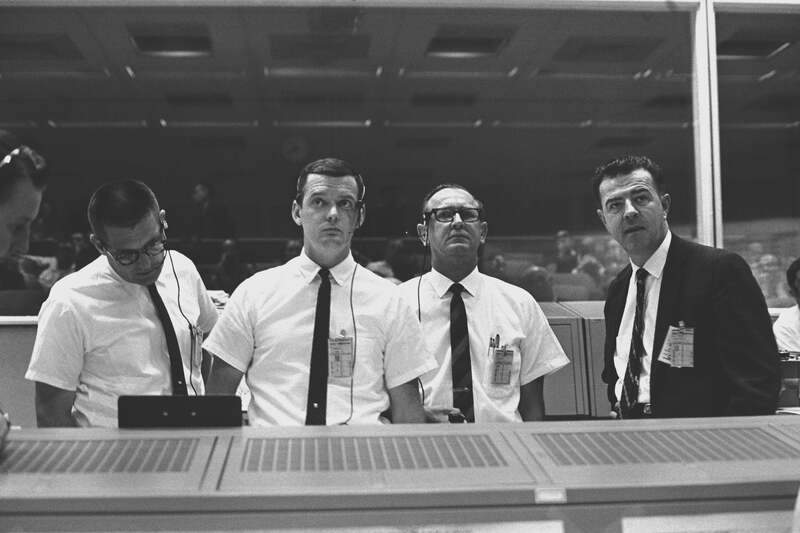 NASA reached a significant milestone this year turning 60 years old. Created by the National Aeronautics and Space Act of 1958, the space agency began formal operations on October 1, 1958. From the beginning, NASA was a non-military endeavor that focused on civil and scientific space exploration and space-related research. NASA has led the way into space both for the US and internationally. A mere 11 years after its founding, the space agency landed on the moon and eventually sent 12 astronauts to the lunar surface. In the 80s, 90s and early 2000s, the program devoted itself to the Space Shuttle, overseeing 135 missions that laid down the framework for the International Space Station. More recently, the agency has explored the sun, visited every planet in our solar system, studied asteroids and comets, launched long-range telescopes, and even placed rovers on Mars. In the future, NASA is expected to be the driving force that’ll bring a man to Mars. NASA plans to develop the Lunar Orbital Platform Gateway, a small station outpost that’ll serve as a launch pad for missions to the moon. The experience gained from these missions will help NASA, along with its international and commercial partners, to take the next step to Mars. In August 2018, NASA launched the Parker Solar Probe: a spacecraft designed to travel to the edge of the sun’s corona to study solar winds. These powerful blasts from the sun can produce the dazzling lights of the Aurora, but they also can affect orbiting satellites and their communication with Earth. Every once in a while the solar winds can be strong enough to disrupt the Global Positioning System (GPS) and high-frequency radio communications. Scientists studying solar winds have only been able to gather data from spacecraft near earth, a whopping 94 million miles away from their source. They know very little about how solar winds originate and how they can reach speeds up to 1.8 million miles an hour. The Parker Solar Probe hopes to answer some of these origin questions by traveling into the sun’s outer atmosphere where it will directly sample solar particles and measure the magnetic fields of the sun. The probe also will measure the temperature of the sun to help scientists understand how a relatively cool star (6,000-degrees Celsius) can produce a very hot corona that measures millions of degrees Celsius. At 2:50PM on Monday, November 26, 2018, NASA’s InSight Lander successfully touched down on the Martian surface. It was a dicey seven minutes as the lander entered Mar’s thin atmosphere at hypersonic speeds and slowed itself down for a picture-perfect landing. Right after its landing, InSight took its first selfie from the red planet’s surface. 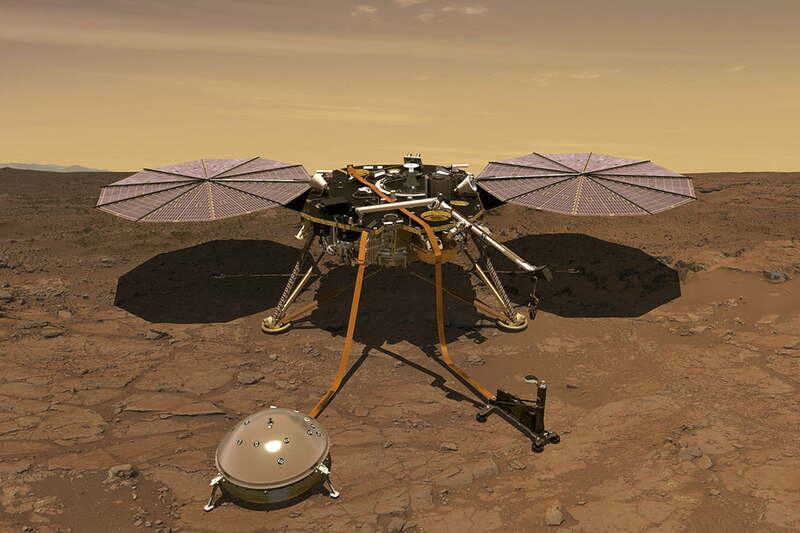 Now that it is on Mars, InSight will be busy collecting geological data all the way from the core to the crust. The lander will analyze the planet’s various rock layers, measure planetary temperatures and generate data about Mars’ axis. Scientists hope they will not only gain a better understanding of Mars, but also of Earth. The differences between Mars and Earth may help scientists explain why one planet is habitable, while the other is a frozen, barren land. After a fiery crash in 2014 took the life of a pilot and put flights on a two-year hiatus, Virgin Galactic is back on track with its commercial space tourism flight. Backed by Sir Richard Branson, Virgin Galactic successfully completed four powered space flights in 2018. The latest in December climbed 51 miles up reaching the edge of space before returning safely to Earth with a smooth landing at the Mojave Air and Space Port. During the flight, the pilots experienced microgravity when the vessel reached its apogee. They were firmly strapped into the spaceship, so they did not float around the cockpit. The data collected from the flight will be analyzed and used to improve the safety and performance of subsequent flights. The next test flight will be used to simulate a commercial payload weight that is expected when the starship is packed full of passengers. More than 600 people have purchased tickets to ride on the Virgin Galactic’s reusable space vehicles. Each ticket costs $250,000, but Branson hopes someday to lower that price to $40 or $50K. 2018 was another banner year for SpaceX. The company again showed the world that reusable rockets are the way of the future. 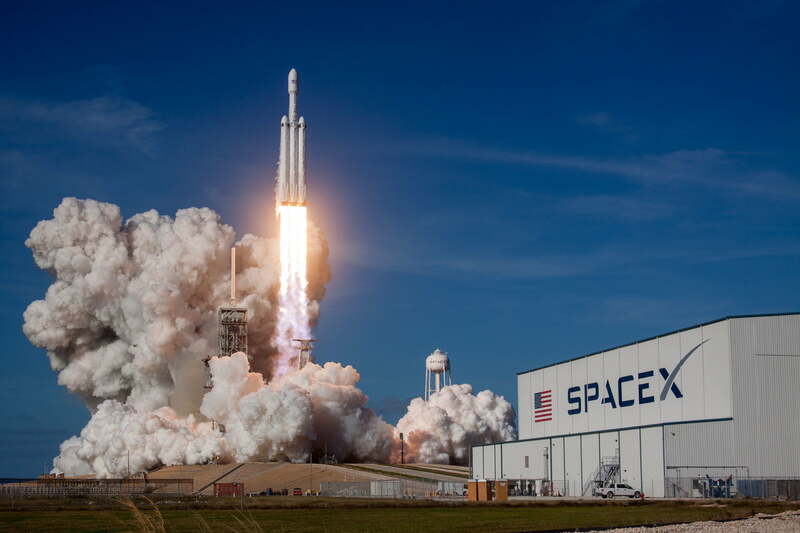 SpaceX has 20 launches under its belt in 2018, beating 2017’s record of 18 launches. One of its most recent launches deployed 64 satellites into orbit, a record number of deployments for a single mission in the US. The world record holder is the Indian Polar Satellite Launch Vehicle (PSLV) mission which deployed 104 satellites in February 2017. SpaceX continues to amaze us with its reusable rockets. For the first time this year, the same Falcon 9 first-stage booster has been used for three different launches and landings. 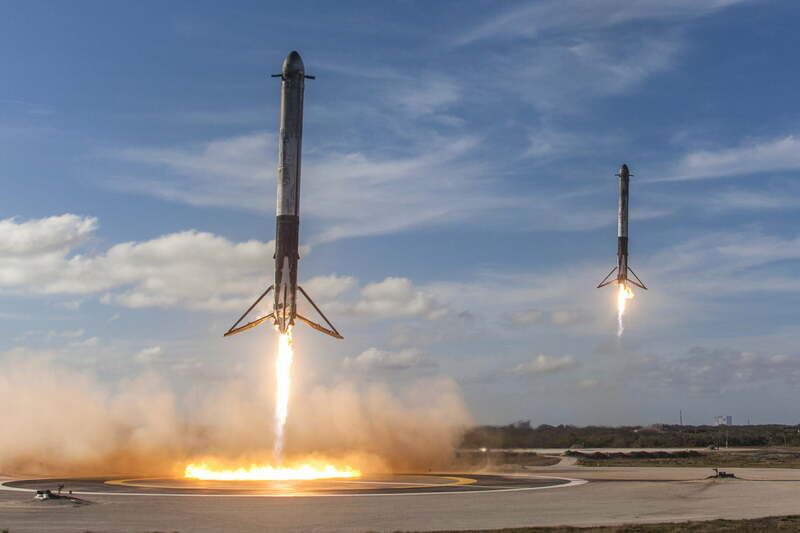 Not only has it been re-used three times, but the booster also been launched from all three different launch pads that SpaceX uses — the Kennedy Space Center Pad 39A, the Cape Canaveral Air Force Station Launch Complex 40, and the Launch Complex 4E at Vandenberg Air Force Base. The Falcon 9 rocket isn’t the only spacecraft in SpaceX’s arsenal. The company also developed the Dragon capsule, a reusable cargo spacecraft that made its maiden flight in December 2010. It is the first commercially built and operated spacecraft successfully recovered from orbit. The Dragon capsule continued its streak of successful ISS resupply missions in 2018. The latest launch to the ISS in December was the fifth launch of a Dragon capsule that has already been into orbit and the second launch for this particular capsule. In August of 2018, the Trump administration confirmed its plans to create the Space Force as the sixth branch of the military. The mission of the branch will be to establish American dominance and protect the country’s security interests in space. According to Trump, space is a warfighting domain, and the US needs to be prepared if a combat situation develops. The Space Force would be created by reorganizing existing space programs into a unified branch tasked with the development of anti-satellite weaponry, jamming technology for military communications, and the improved radar and GPS capabilities. Space Force isn’t quite ready to take flight yet as the creation of a new military branch requires congressional authorization. Trump is expected to request the establishment of this branch in the 2020 budget that will be sent to Congress for approval. NASA’s Dawn mission came to its expected conclusion in 2018 after the spacecraft ran out of fuel. The Dawn spacecraft launched in September 2007 and traveled more than 4.3 billion miles in its 11-years of operation. The mission’s goal was to study the dwarf planet Ceres and giant asteroid Vesta in an asteroid belt. The images and data retrieved from the mission provided insight into the origin of our solar system and how it may have developed in its early years. It also provided a close-up view of the dwarf planet and a look at the asteroid that suggests there was ice under that rocky exterior. Now that it is defunct, the Dawn spacecraft will continue to orbit the dwarf planet Ceres. 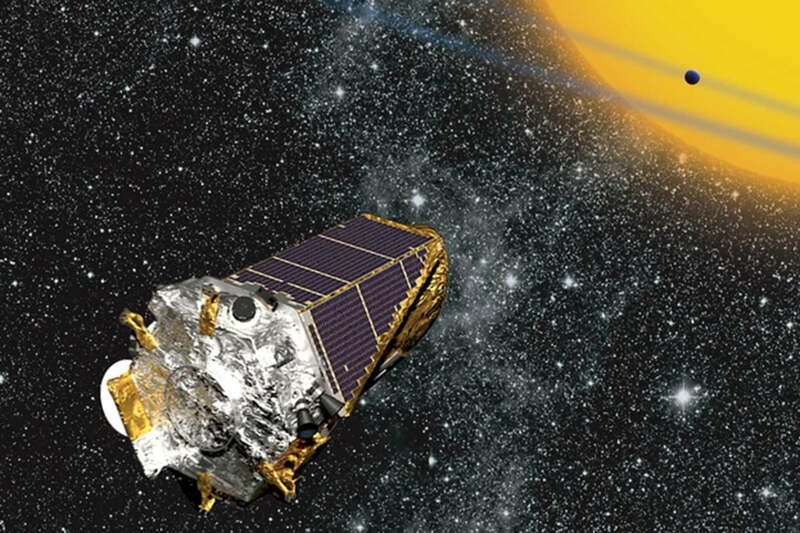 After nine long years of probing deep space for new planets, the Kepler space telescope finally ran out of fuel and delivered its last images in 2018. The telescope leaves quite a legacy. It was designed to only operate for a mere 3.5 years, but it continued operating long past that deadline thanks to NASA scientists who kept the telescope operating for another five years. During that time, the telescope collected data on thousands of planets outside our solar system. Much of that information now is available to the public.